CorpNote doesn't explicitly offer the ability to send an eCard via text message but we have an easy solution. Use our eCard direct link feature. For more detailed instructions, follow the step-by-step tutorial below. If you have already sent your eCard and wish to text it now, move directly to step 2. We recommend that you preview the eCard in your inbox first to make sure that it looks the way you want it to. Once an eCard is sent, you are unable to change the content so you should double check it for any spelling errors etc. All of your eCards are accessible via a website link. When you send an eCard, there is a link at the top of the email to 'view in browser'. This is the same website link you will use to send your eCard via text message. With the eCard link now copied, close your internet browser application and open your messaging app. Paste the link into the message text box by long-pressing the screen and selecting the paste option. Your recipient will receive your eCard image as a text message. 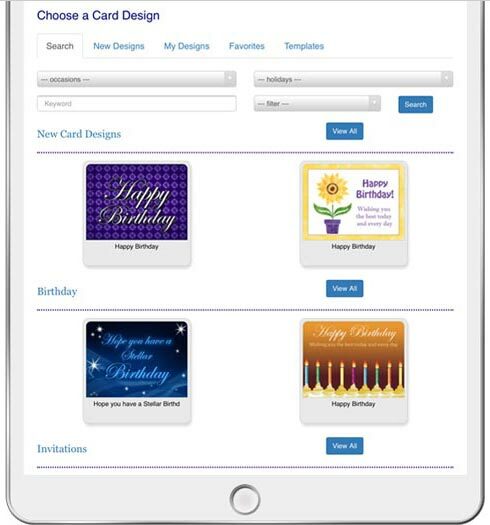 They can then click on the image to view the entire eCard in their mobile browser, which will include your eCard design, message, signature and custom interface if you have one. Social media channels are a terrific gateway to reach your customers, employees, colleagues and friends. CorpNote allows you to easily post eCards, invitations and surveys to your social media friends and groups. CorpNote has integrated eCard sharing with Facebook, LinkedIn, Google+, Twitter. You can also share any eCard, invitation or survey using our "direct link" feature. FAQ: Do ecards I post in social media expire?